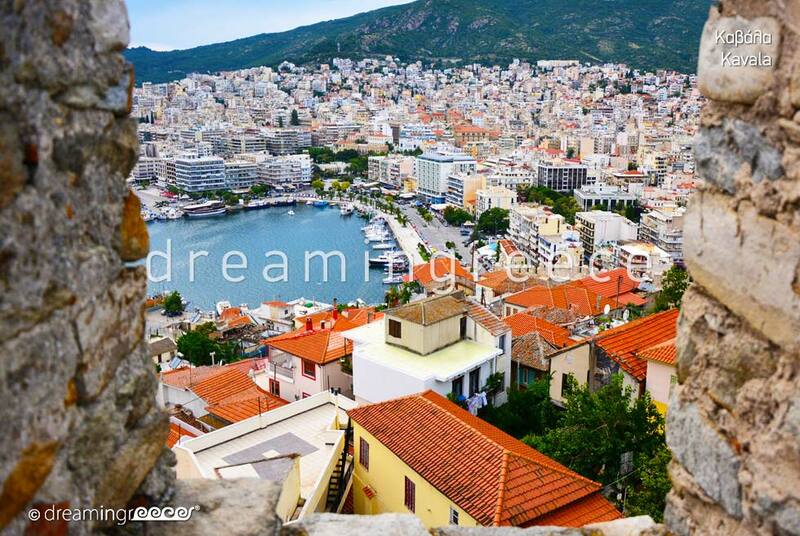 In Eastern Macedonia Prefecture, at the foot of Symvolo Mount, a seaside town, with a history which goes back centuries: the noble city of Kavala unfolds. Kamares, the majestic castle, the imposing mansions, the palm trees, the beautiful squares and the architectural gigantic masterpieces of the tobacco warehouses compose a unique place, waiting to be explored! 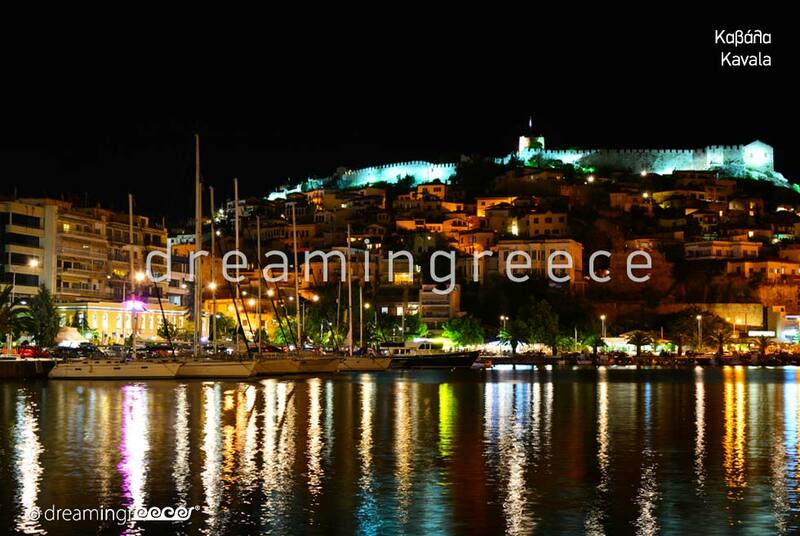 Reference point in the modern part of Kavala is the harbor with its fishing boats, palm trees and tavernas. 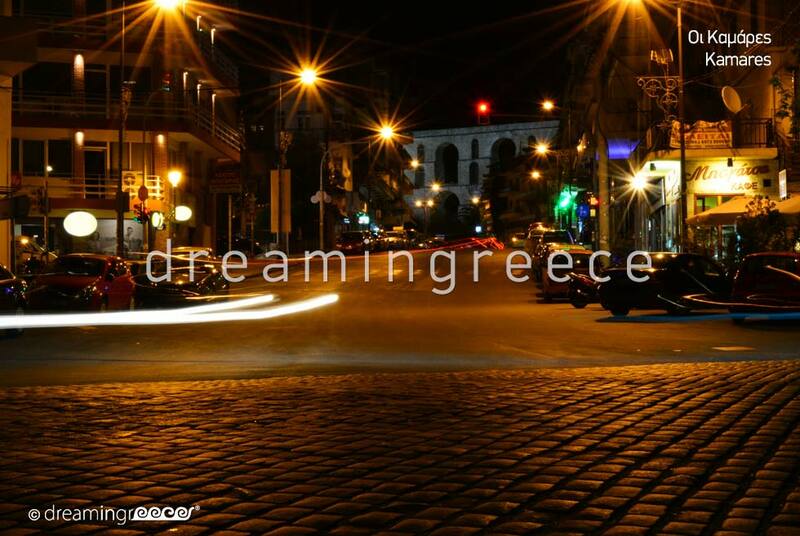 The heart of the city beats every day in Eleftherias Square. 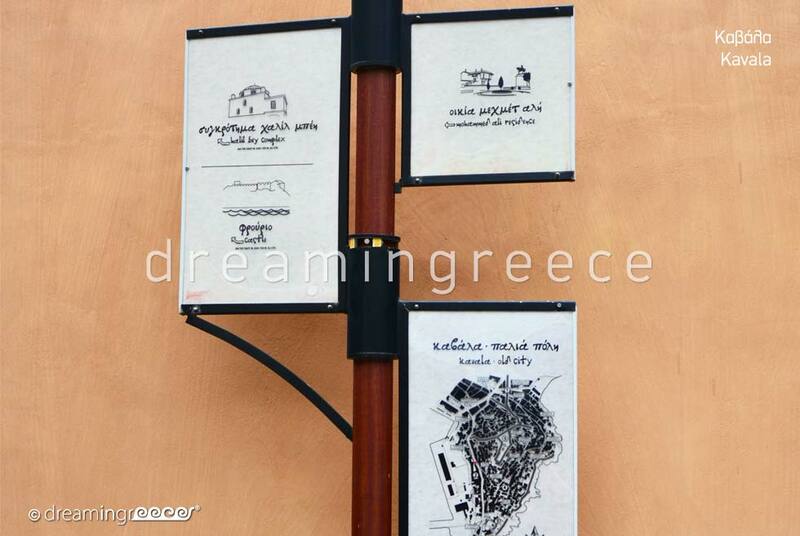 Within walking distance from the square the old neighborhood of Agios Nikolaos unfolds. There, apart from the church, which used to be a mosque, you will find many small shops, and stylishly cafés. 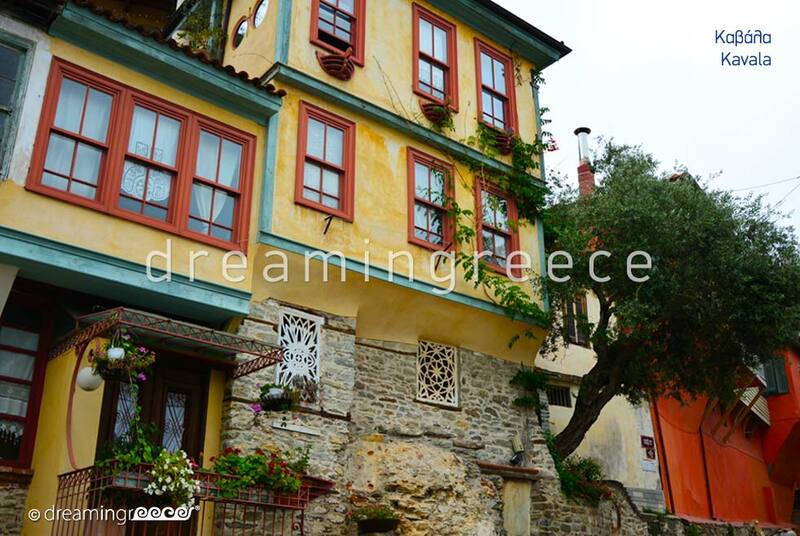 While browsing in Kavala, massive warehouses scattered in the city center, revealing the splendor of past times, will spur your attention. 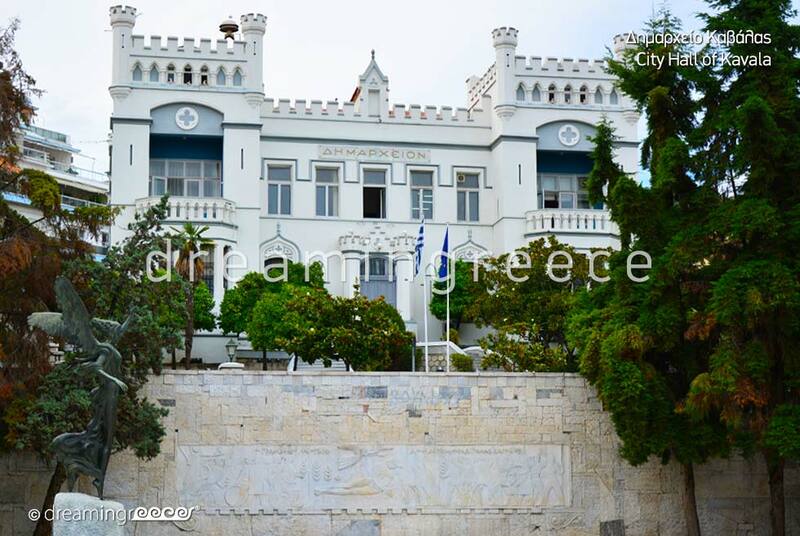 Major attractions of Kavala are the Municipal Tobacco Warehouse, the Lazaristes monastery, the Great Greek Community Club of Kavala, Adolf Wix Mansion, the Town Hall, the statue of Nike, Tokos’ Mansion and the Municipal Conservatory. 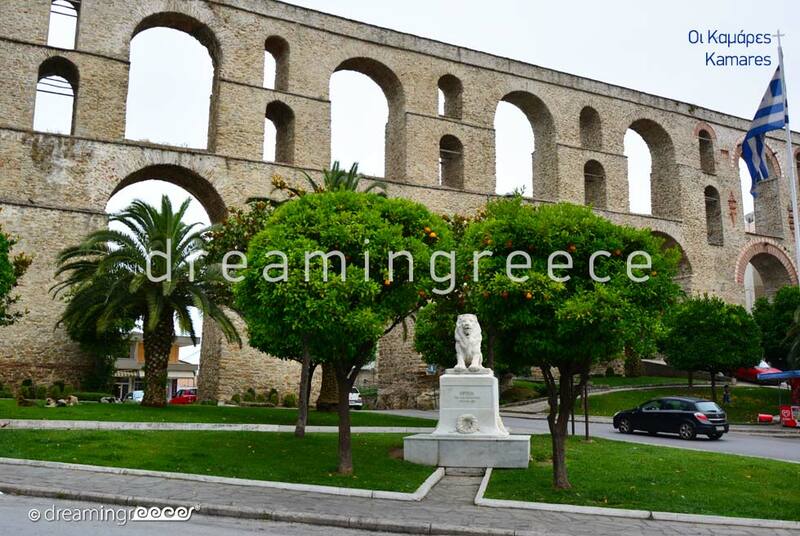 The famous arches or Kamares which is actually the old water tower, separate the modern section of Kavala from the old town or Panagia, which is lazily perched under the shadow of the castle. The narrow cobbled streets, the houses with the wooden balconies and the yards full of flowers as well as the old mansions emit a pervasive nostalgia! During your tour in the old town, the Imaret, an exemplary restored monument of the Ottoman architecture which has now been converted into a luxury hotel will trigger you. 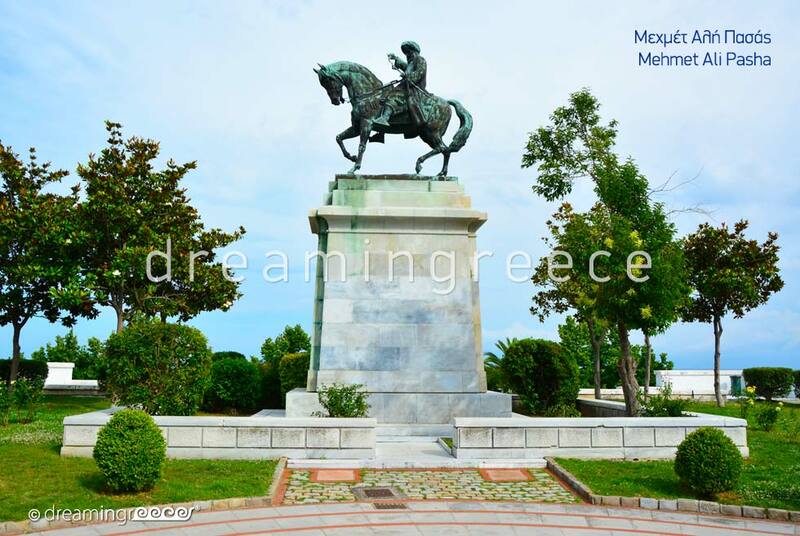 Benchmark of the old town is the square of Mehmet Ali, where Mehmet Ali’s house (lodgings) and statue stand out. 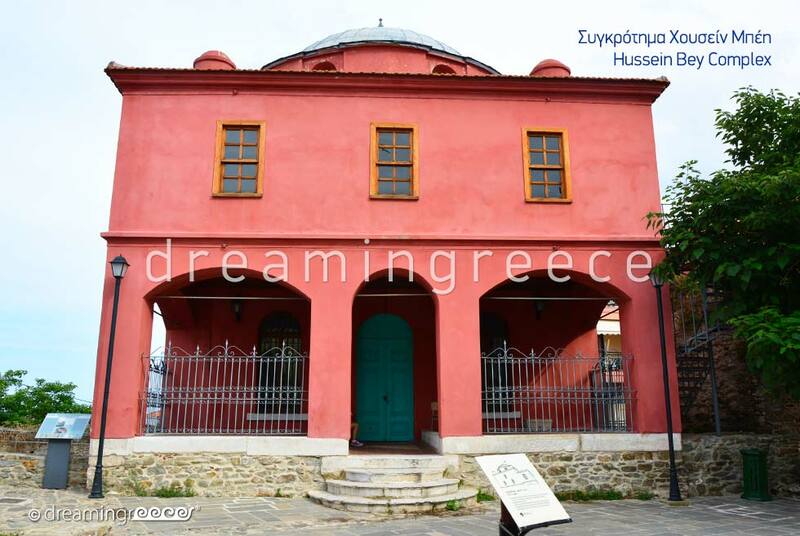 Continue your acquaintance with the historical settlement of Panagia, with a visit to the mosque of Halil Bey. If you are an incurable romantic, you should walk to the lighthouse and enjoy the idyllic view! 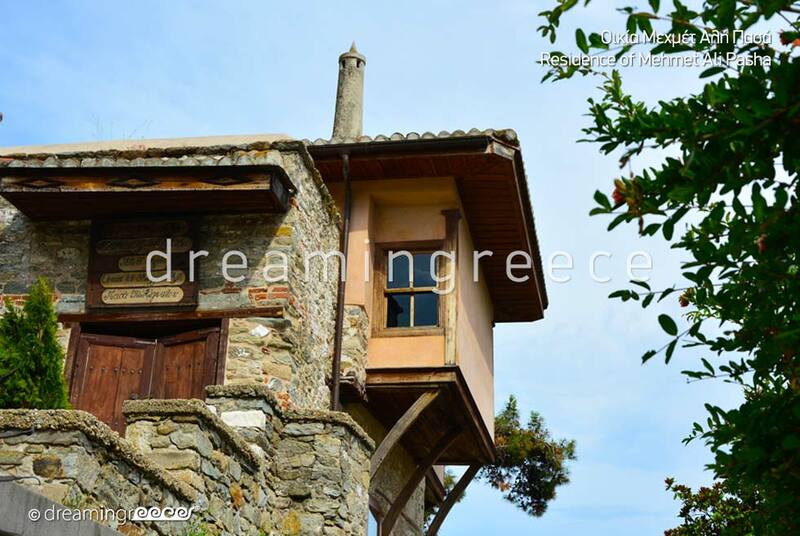 On the top of Panagia peninsula the Castle of Kavala, offering disarming views, stands proudly! 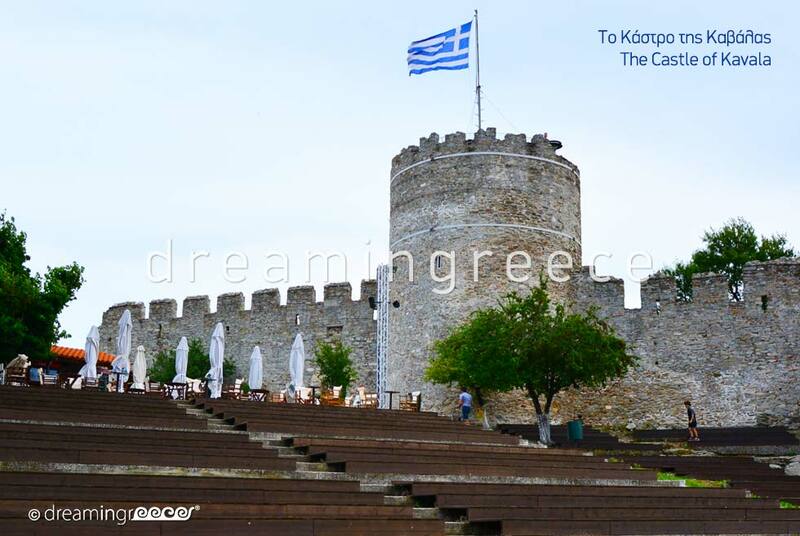 The battlements, the old prisons and the small theater compose a movie scene! 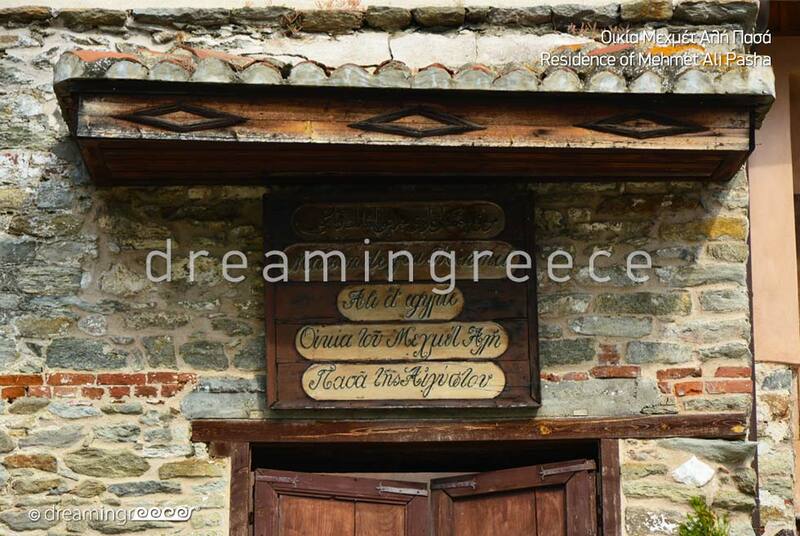 In Panagia, you will find traditional taverns and cafés. 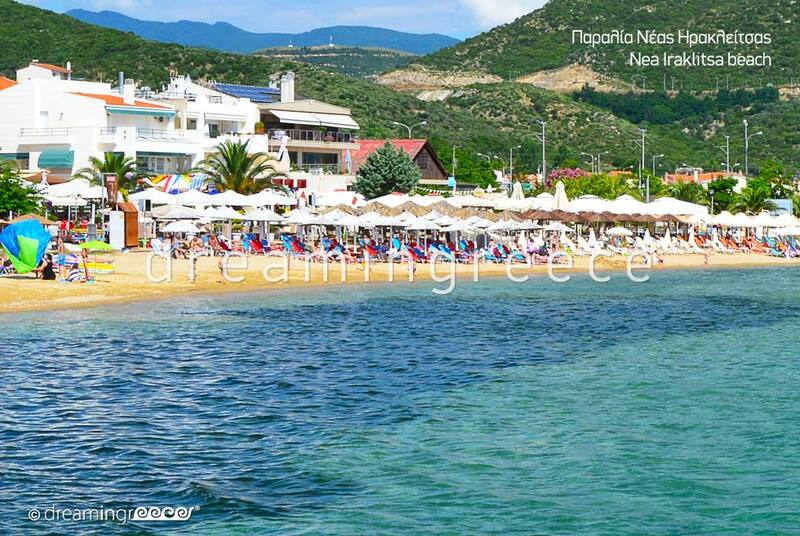 If you are attracted by adventure, in Kavala you can indulge in various activities such as hiking, horse riding in the local riding club and 4 × 4 driving. If you love sports, you can visit the seaside park in Faliro, where you will find basketball, tennis, and skateboard facilities. For slaloms on the snow, visit Pangaio mountain ski resort. A unique experience is the riverside walk in the dreamy straits of Nestos river. 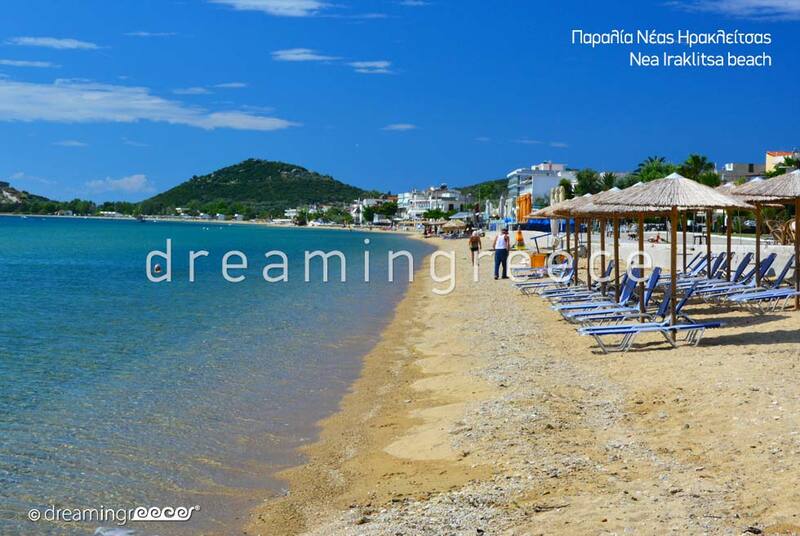 In Kavala, you will find sandy beaches, where you can enjoy swimming. 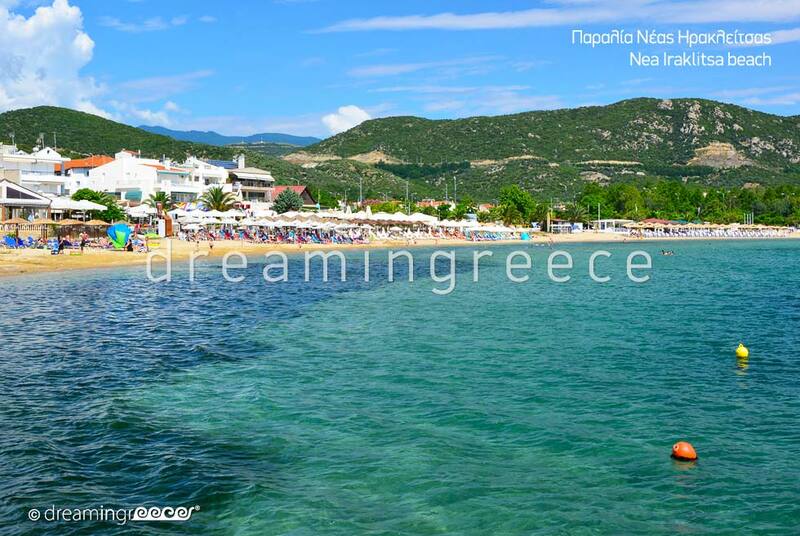 If you do not want to travel a lot, at walking distance from the city-center, you will find the organized beaches of Perigial, Rapsani, Kalamitsa, Batis, Tosca and Palió. 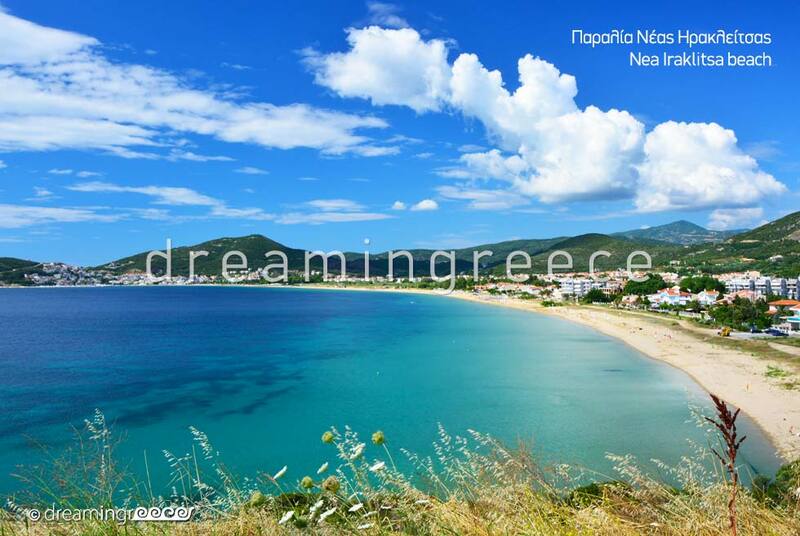 A bit further, you will meet the beach of Nea Iraklitsa. 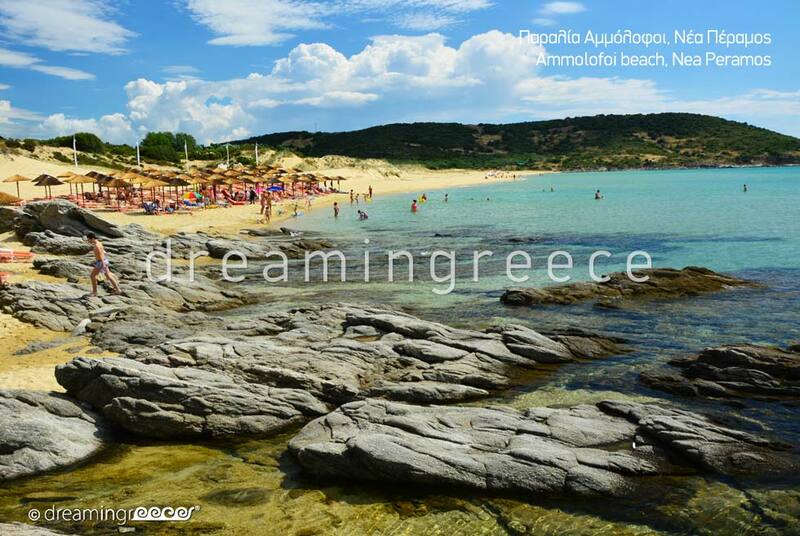 Do not forget to visit the beach in Nea Peramos, with beautiful views of Fidonisi islet and taverns which are famous for their fresh fish. 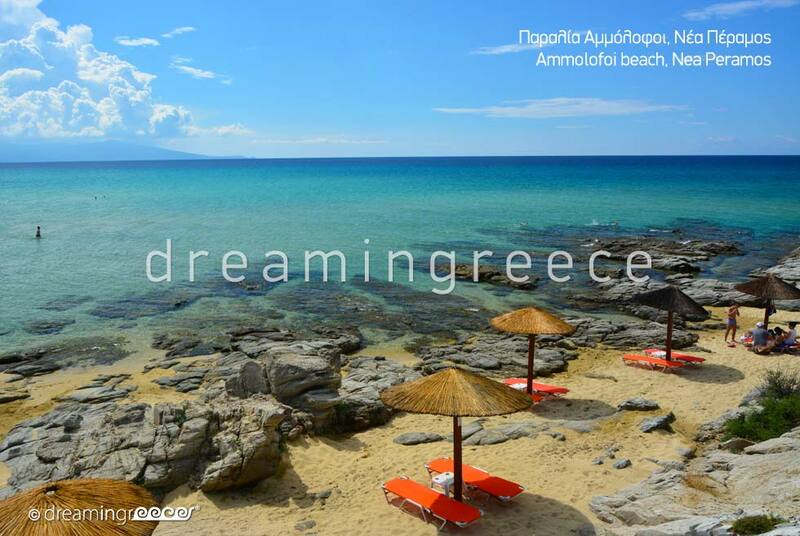 Within walking distance from New Peramos, you will find the exotic Ammolofoi beach, with its crystal clear waters and fine sand. 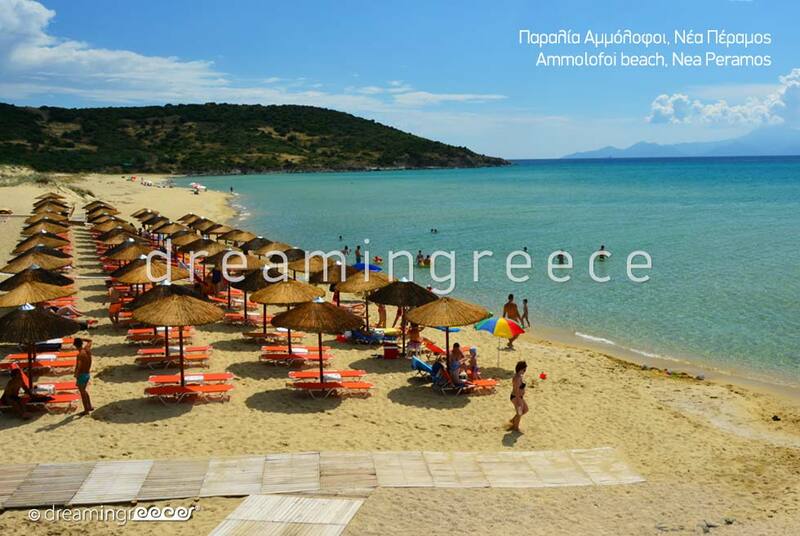 Located about 30 kilometers from Kavala, you will see the popular and organized beach of Almira. 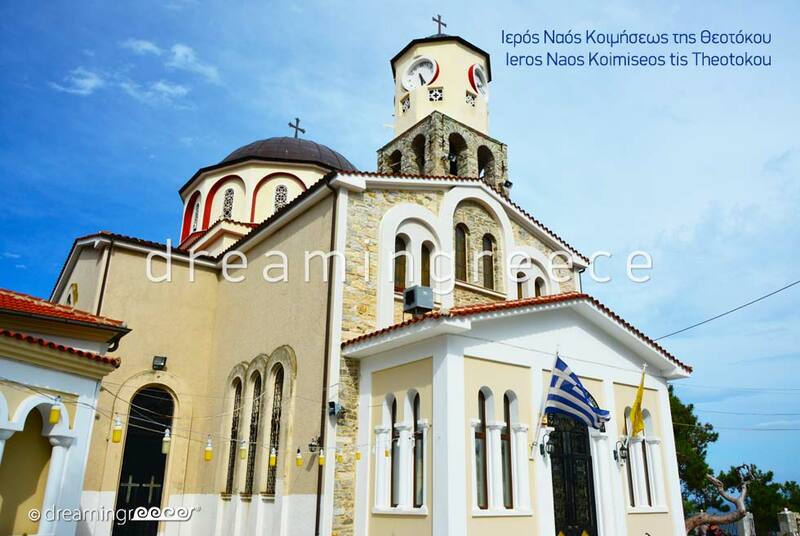 To reach Kavala from Athens, you can drive via the National Highway from Athens to Thessaloniki (650 km distance - 6 hours and 30 minutes ride) and then via Egnatia Highway heading for Kavala. 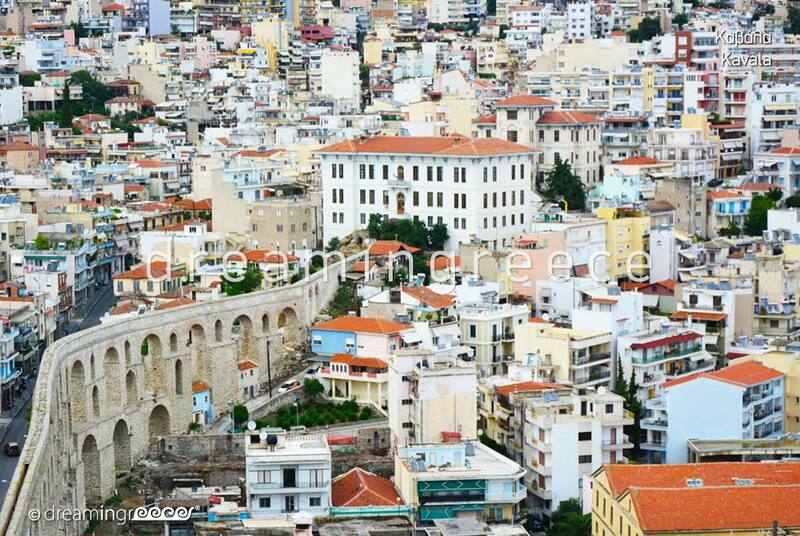 You can also take the Intercity Bus (KTEL Bus of Kavala) from Kifissos Intercity Bus Station (7 hours journey). For more information click here. 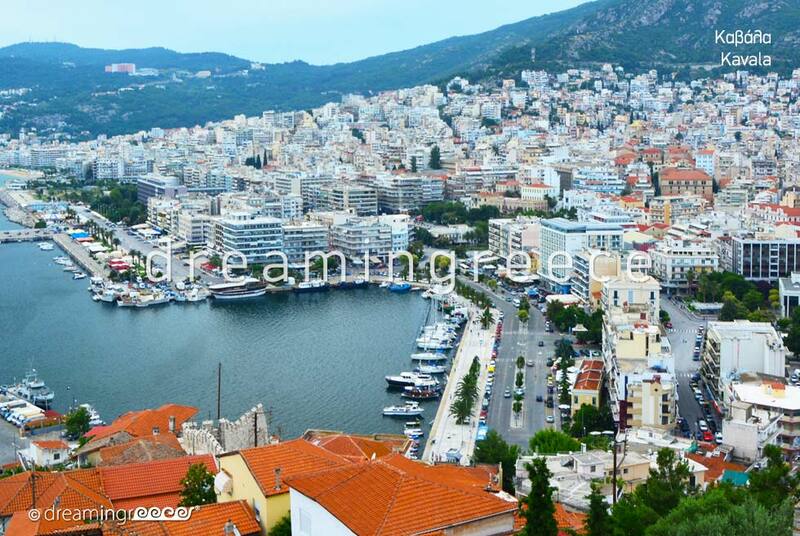 The fastest way to reach Kavala from Athens is to fly there from Eleftherios Venizelos Athens International Airport. To reach Kavala from Thessaloniki, you can drive via Egnatia Highway, heading for Alexandroupolis (155 km distance - 1 hour and 30 minutes ride). 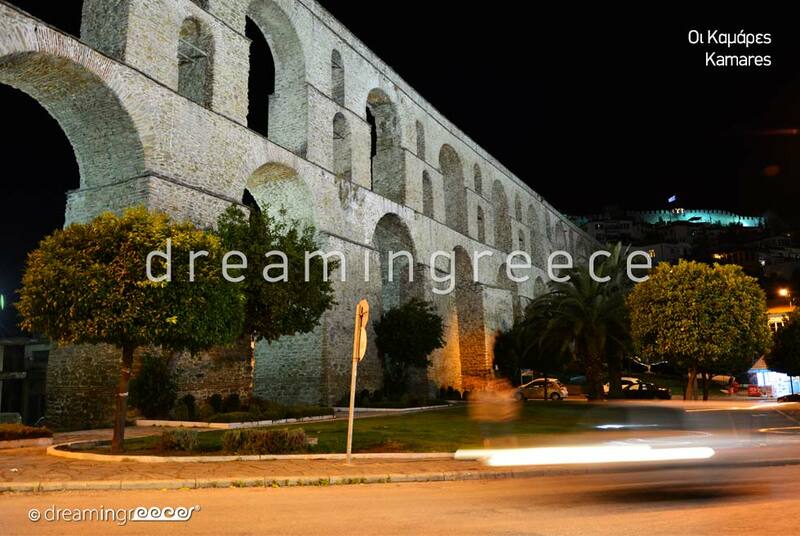 You can also take the Intercity Bus (KTEL Bus of Kavala) from Thessaloniki Intercity Bus Station (2 hours journey). For more information click here.